La Femme 24517 is a dream. The elegant way this gown falls and flows is just one of the amazing things about it. The layered tulle skirt gives this dress some serious fun sass, and the sweetheart neckline makes it extremely feminine. The beading on this gives it just the right amount shine to make you sparkle. 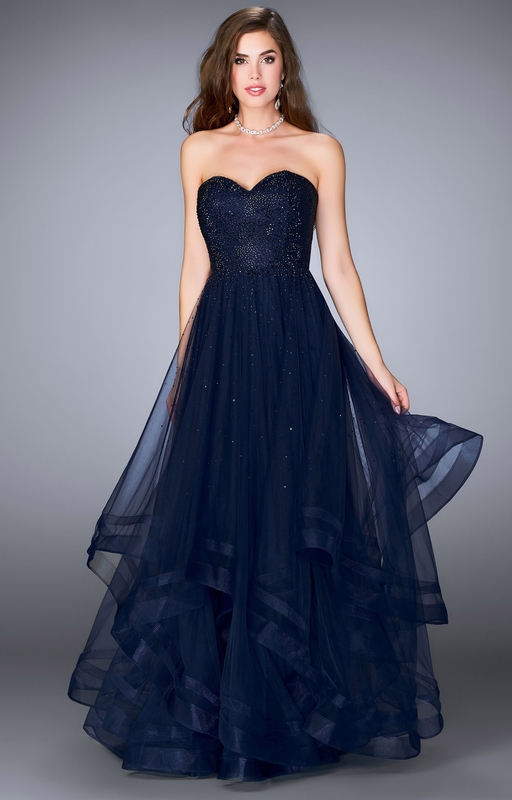 Perfect for a pageant or prom!